Discover it® Balance Transfer features one of the longest 0% intro APR periods, plus a rewards program that makes the card worth holding long after you’ve paid off your debt. If you have credit card debt you want to pay off quickly, Discover it® Balance Transfer may be the solution for you. Thanks to a lengthy 0% intro APR period for balance transfers, and a lucrative rewards program, this card offers a lot of up-front value and on-going rewards that ensure it stays at the top of your wallet. Discover it® Balance Transfer offers a full suite of perks that make it more than just a balance transfer card. Below, I’ll quickly run through the features that make it a compelling card offer. 0% intro APR offer -- The main feature is the 0% intro APR on balance transfers for 18 months, in addition to a 0% intro APR on purchases for six months. Moving a $5,000 balance at an 18% APR to this card could save you nearly $600 in interest over the life of the balance. Note, the go-to variable rate applies after the promo period. Up to 5% cash back -- Many of our favorite balance transfer credit cards are one-trick ponies, meaning they offer 0% intro APRs and little else. Discover it® Balance Transfer also offers an excellent rewards program that offers 5% bonus cash back on the first $1,500 of quarterly spending in rotating categories you activate and 1% cash back on everything else. Even without the balance transfer offer, Discover it® is one of our top picks in cash-back credit cards. Cashback Match™ -- A sign-up bonus by a different name, Discover it® Balance Transfer has a Cashback Match™ feature which matches an unlimited amount of rewards earned in the first year of having the card. So, if you max out its quarterly bonus categories and earn $300 in rewards in the first year, you’d receive another $300 to match it at the end of the first year. That amounts to earning up to 10% cash back! FICO® Score for free -- While there are many free services that offer a free credit score, few actually show you a real FICO® Score. It can be beneficial to get access to a credit score that lenders use to make real credit decisions on everything from credit cards to car loans and mortgages. No minimum rewards redemptions -- I consider Discover credit cards to be particularly friendly because they have low minimum redemption thresholds for cash-back rewards. With no minimum redemption requirement, you can redeem the cash back you earn from your Discover it® Balance Transfer card whenever you want to. Other cash-back cards have strict $25 minimum redemption thresholds. As a credit card nerd and consumer advocate, I’m always looking for card offers that offer more benefits to the consumer, rather than the bank. It’s my view that balance transfer cards are one of the best kept secrets in personal finance because many people simply overlook the savings generated by moving a balance from a standard APR to a card that offers a 0% intro APR for a year or more. 0% intro APR on purchases -- One thing I don’t like about this card is the mismatched 0% intro periods for balance transfers (18 months) and purchases (six months). To avoid paying interest on the purchase balance after the 0% intro period on purchases, you must pay an amount equal to the minimum payment, plus the purchase balance for the statement period. (For example: If your minimum payment is $50 and your purchase balance is $500, you need to pay $550 that month to eliminate the purchase balance.) Building up a purchase balance at a double digit APR can negate some of the savings you get from taking advantage of the 0% intro APR offer on balance transfers. Balance transfer fee -- Though you won’t pay any interest on eligible balance transfers for 18 months, you will pay a fee to move your balances to the card. The balance transfer fee is $5 or 3% of the amount transferred, whichever is greater. Thus, to move a $5,000 balance, you’d incur a $150 fee. A $150 fee to finance a $5,000 balance for 18 months is a steal, but I’d love to see this offer waive the fee on transfers. Despite these small downsides, Discover it® Balance Transfer can be an excellent value as a way to refinance existing credit card debt. If you intend to use the card for purchases and balance transfers, however, you need to be smart about making payments after the six-month 0% intro APR period on purchases. Long 0% intro APR period -- It goes without saying that credit cards that have longer 0% intro APR periods offer more value, since they allow you to finance a balance at no cost for a longer period of time. This can save you in interest, while giving you more wiggle room in your monthly budget to pay down your debt during the 0% intro APR period. Low (or no) balance transfer fees -- Some cards waive balance transfer fees as a promotion, while others charge a balance transfer fee equal to $5 or 3% of the amounts transferred, whichever is greater. A select few charge a fee as large as 5% on balance transfers. Discover it® Balance Transfer charges a fee of $5 or 3% of amounts transferred, whichever is greater, a fair fee given its 18-month 0% intro APR offer is longer than any of the fee-free alternatives. On-going value -- Many balance transfer cards offer little in the way of recurring value after the 0% intro APR period expires. We prefer cards whose value proposition isn’t limited just to the 0% intro APR. In this case, Discover it® Balance Transfer has a valuable cash-back rewards program in which cardholders earn 5% cash back on up to $1,500 of quarterly bonus spending, plus 1% on all other purchases. Act fast when transferring balances! You'll need to transfer balances by a certain date to qualify for the 0% APR for balance transfers. The deadline date is outlined in the terms when applying so be sure to pay close attention to not miss out. A general rule of thumb is that balance transfer cards with long 0% intro APR periods and rewards programs typically require higher credit scores than other balance transfer cards. Your odds of approval will likely improve if you have a credit score of 670 or better. If you have a lower credit score, you may want to apply for a card with a shorter 0% intro APR period as approval is akin to rolling the dice. Using a 0% intro APR balance transfer offer to refinance high interest credit card debt can save you a fortune in interest over the life of the balance. In the table below, I’ve calculated how much you could save by moving a $5,000 balance to Discover it® Balance Transfer and paying off the balance over the course of 18 months. Data source: Author calculations. Savings are adjusted for the 3% balance transfer fee ($150 fee on $5,000 transfer). Notice that the amount you save is highly dependent on the APR you are charged on your existing debt. If you currently pay 24% on your existing credit card debt, you’d stand to save $853 by moving a $5,000 debt to Discover it® Balance Transfer, even after accounting for the 3% balance transfer fee. Of course, if your debt is currently charged an APR of 9%, the savings are much smaller, but the savings are still substantial at $213. The point here is that reducing your APR is the single best way to save money on interest and pay down debt faster. Because each payment on a 0% APR balance goes toward principal, your balance will decline faster, putting you on the fast-track to being debt free. Discover it® Balance Transfer has a deep bench of valuable perks. But it's not the only Discover credit card that can be so lucrative for cardholders. Discover it® Cash Back and Discover it® chrome are two such cards. Discover it® Cash Back has the same rewards programs as Discover it® Balance Transfer and the main difference is the 0% intro APR offer of 14 months for purchases and balance transfers. Cardholders seeking a longer purchase APR promo will be better off here than with the 6 month APR promo for Discover it® Balance Transfer. Discover it® chrome amps up the rewards for cardholders preferring gas and restaurants cash back: the card offers 2% cash back for both on up to $1,000 of spending each quarter. Importantly, all three cards offer the same double cash back feature in the first year, which I consider one of the best perks on the market. Balance transfer cards aren’t for everyone. If the following statements apply to you, then Discover it® Balance Transfer should make the short list of cards worth applying for. You have good credit. Discover it® Balance Transfer offers a long 0% intro APR period, and thus it is designed for people who have few, if any, blemishes on their credit report. If your only credit problem is having high balances on other cards, Discover it® Balance Transfer is a good choice. You need 18 months to repay your balances. If you don’t need the full 18 months to pay off your balances, there are other balance transfer cards with 0% intro APRs for 15 months that waive balance transfer fees. Those would be a better bet. Of course, if you need the full 18 months, Discover it® Balance Transfer’s fee of $5 or 3% of the amount transferred is a good deal. You want a card to keep after the balance transfer promotion. 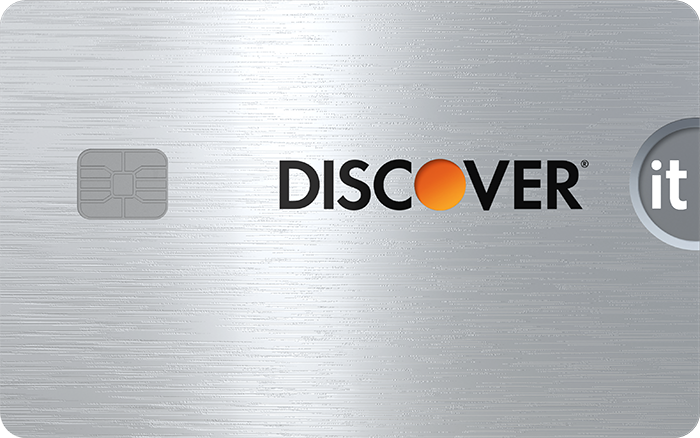 Even without the balance transfer offer, Discover it® cards are pretty lucrative rewards cards. Its rotating bonus categories that yield 5% cash back on the first $1,500 of spending make it a favorite among cash-back card users. The base cash-back rate of 1% on all other purchases is fair given the high bonus potential.